The Palestinian Center for Human Rights (PCHR) condemns the Israeli Government’s decision to evacuate Palestinian Bedouin population from the Pope Mountain Community in al-Ezzariya village, east of occupied Jerusalem, for the interest of settlement projects in the area. At the time PCHR emphasizes the legal status of East Jerusalem as a city under occupation, PCHR stresses that these Israeli measures are part of the Israeli government’s plans to create a Jewish Majority in the occupied city, expand its administrative boundaries, and connect its settlements established in the east of Jerusalem with the city in order to cut off communications between the north of the West Bank and its south. PCHR calls upon the international community to take immediate action to stop implementing this serious plan and end all settlement activities in occupied Jerusalem. 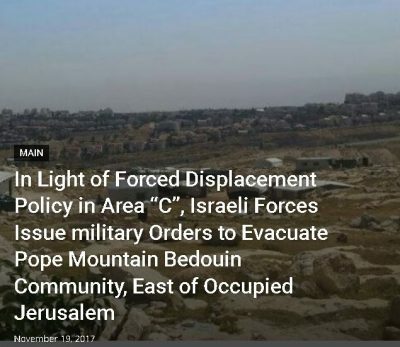 According to PCHR’s investigations, late on Thursday evening, 16 November 2017, Israeli forces accompanied with staff of the Organization and Construction Department in the Israeli Civil Administration moved into the Pope Mountain Bedouin Community near al-Izzariyah village, east of occupied Jerusalem and adjacent to “Ma’ale Adumim” settlement, and fixed orders to evacuate the houses and leave the area as a preamble to displace them. ‘Attalla Mazar’ah, Head of Services Committee in Pope Mountain Community, said to PCHR’s fieldworker that the Community residents, comprised of 57 families, including 320 individuals, half of them are children, were surprised with the Civil Administration staffs under the Israeli forces’ protection moving into the area. The staffs installed iron rods in the ground and fixed military orders along with maps. ‘Attalla mentioned that the Pope Mountain has been targeted by the Israeli forces because its residents live within the E1Settlement zone. The area is inhabited by Palestinians from Arab al-Jahalin, who arrived at the area following their displacement from Negev in 1948. It should be noted that this order was signed by the military commander of the area on 01 November 2017. The order says, “After 8 days of issuing this declaration, each owner of property in the area included in this declaration shall evacuate their property according to this order.” This order also bans any construction works in the defined area, and no persons are allowed to enter or bring any property to the area for construction works. The distribution of these military orders came few hours after the Israeli Prime Minister’s decision, Benjamin Netanyahu, ordering the Palestinian Bedouins living in communities to evacuate their houses in the vicinity of occupied Jerusalem, near Street No. (1), moving towards the Dead Sea. The Israeli media stated that the decision was issued on Thursday at the end of a meeting held between Benjamin Netanyahu and representatives of so-called “Jerusalem Perimeter Forum” and the Binyamin Regional Council. The Israeli media clarified that the meeting was about the tents and mobile dwellings inhabited by the Palestinian Bedouins in Palestinian areas overlooking Jerusalem between ” Ma’ale Adumim” and “Mitzpeh Yericho” settlements, which were classified as “illegal outposts” by the Israeli authorities. PCHR condemns the Israeli forces’ attacks against this Bedouin community and other Bedouin communities in the vicinity of Jerusalem. 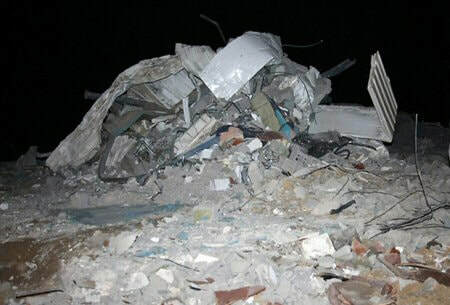 PCHR also believes this attack is part of the forced displacement crimes committed by the Israeli forces in areas classified as Areas C according to the Oslo Accords signed between the Israel Government and Palestinian Liberation Organization on 13 September 1993, in favor of settlement expansion projects. PCHR reminds the international community of the Israeli forces’ violation of the 1949 Fourth Geneva Convention relative to the Protection of Civilian Persons in Time of War, in particular Article 33, which prohibits collective punishment, and Article 147, which stipulates that extensive destruction and appropriation of property are not justified by military necessity and carried out unlawfully and wantonly and are grave breaches amounting to war crimes according to Article 85, paragraph 5 of Additional Protocol I to the Geneva Conventions. Moreover, these crimes are a violation of Article 11 of the International Covenant on Economic, Social and Cultural Rights, which stipulates that the States Parties has an obligation to ensure each person’s right to an adequate standard of living for him and his family, including adequate food, clothing and housing. Believes that the conspiracy of silence practiced by the international community has encouraged Israel to commit more violations of international human rights and international humanitarian laws, including efforts to create a Jewish majority in occupied East Jerusalem. A Senior UN official called, on Friday, for the Israeli occupation to stop destroying Palestinian property and respect international law. 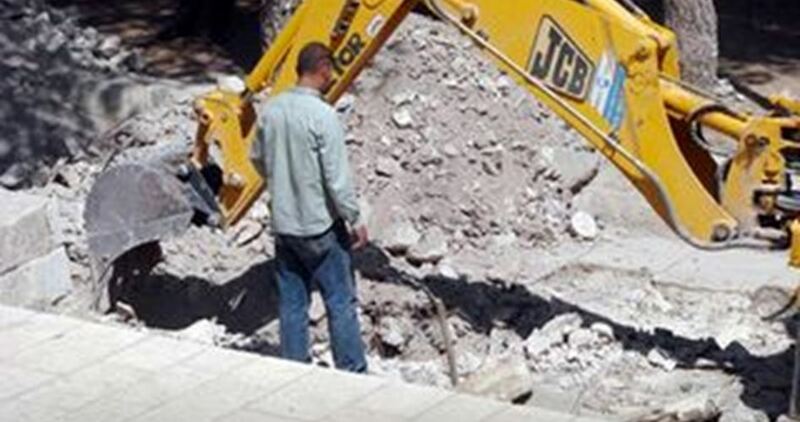 The UN Coordinator for Humanitarian Aid and Development Activities for the occupied Palestinian territory, Robert Piper, today condemned the demolition and confiscation of donor-funded humanitarian assistance by the Israeli authorities in the Palestinian community of Jabal al-Baba. 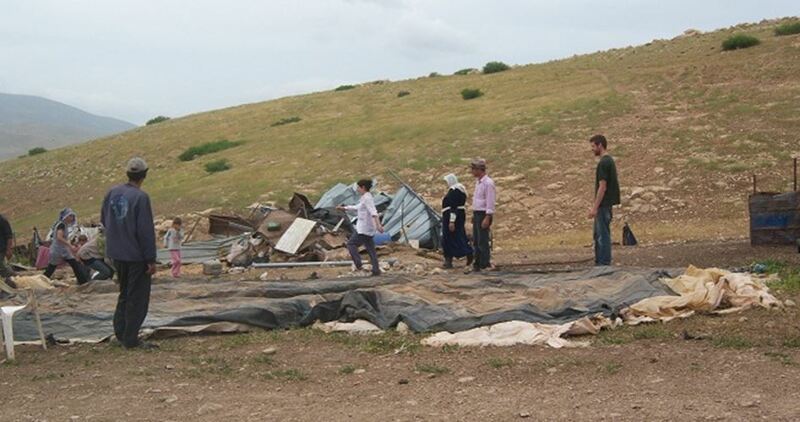 On 16 May, Israeli authorities demolished seven homes and confiscated materials for three other ones. Nine Palestine refugee families, comprising 49 members were left without shelter as a result, 22 of them children. According to Days of Palestine, the materials were part of a humanitarian aid package for vulnerable Palestinian Bedouin families, provided by the UN’s Humanitarian Pooled Fund, earlier this year. “Despite the obligation on Israel under international law to facilitate rapid and unimpeded passage of relief to those who need it, humanitarian relief to vulnerable communities like Jabal al-Baba is increasingly under attack,” said Piper. 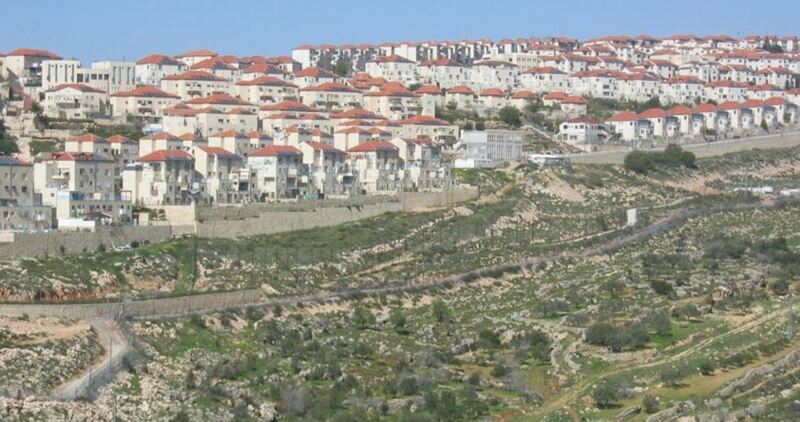 Jabal al-Baba, located to the east of Jerusalem in an area planned for the expansion of the illegal Israeli Jewish settlement of Ma’ale Adumim, is one of 46 communities in the central West Bank considered at high risk of forcible transfer. The destruction of homes and of livelihoods creates pressures on households to move, exacerbating the risk of forcible transfer which would be considered a grave breach of the Fourth Geneva Convention. Over 600 structures have been demolished or confiscated across the West Bank already in 2016, far exceeding the total for all of 2015. In their wake, over 900 people have been displaced from their homes and a further 2,500 have seen their livelihoods affected. “Once again, we call on Israel to respect the rights of these vulnerable communities and to leave these households in peace,” said Piper. Israel’s Civil Administration afternoon on Thursday ordered that the Palestinian Bedouins in Jabal al-Baba community, east of Occupied Jerusalem, be driven out of their homes by next week. Jabal al-Baba community’s spokesman, Atallah Muzar’a, said Israeli Civil Administration crews, escorted by police forces, stormed the area and handed over the Bedouins a deportation order. Muzar’a warned of the projected deportation of 320 Palestinians, among them women and children, to unknown locations. The activist quoted the Bedouins as firmly rebuffing the deportation order, which he said makes part of a preplanned scheme of ethnic cleansing. He added that Jabal al-Baba is home to 100 makeshift homes and livestock facilities. Muzar’a vowed that the locals will proceed with legal steps right away so as to deactivate the arbitrary deportation writ. 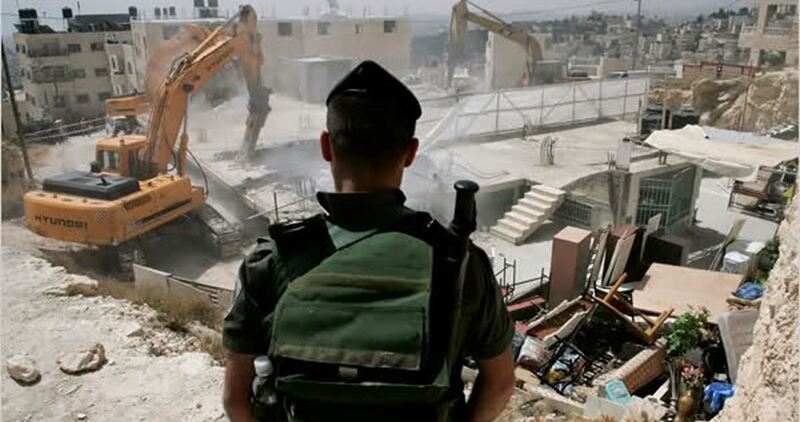 “The Israeli authorities have started the demolition process in such an arbitrary and sadistic way. The Israelis destroyed our homes, displaced our families, prevented our children from pursing education. And the day has come when they will be expelling us altogether from our own and only homes,” said Muza’ra, echoing the words of the affected families. The measure makes part of Israel’s E1 settlement project aiming to grab hold of nearly 12,000 dunums of Palestinian lands in Occupied Jerusalem and the West Bank in favor of illegal settlement expansion. Israel’s Prime Minister Benjamin Netanyahu ordered Thursday to drive Bedouin Palestinian communities out of their tents on Highway 1 in the vicinity of Occupied Jerusalem, heading towards the Dead Sea. According to a Thursday report by Yedioth Ahoronot, Netanyahu pushed for dismantling what he called “illegal outposts”, in reference to the tents inhabited by Palestinian Bedouins on Jerusalem’s outskirts, and for relocating the residents in Jericho and Abu Dis. In a meeting between the prime minister, the so-called Jerusalem Perimeter Forum and the Binyamin Regional Council, Netanyahu ordered the removal of the Bedouin encampments pitched along Highway 1, leading from Occupied Jerusalem down to the Dead Sea. Observers have often raised alarm bells over Israeli intents to force Bedouin communities out of the area in favor of illegal settlement projects and as part of a larger scheme of ethnic cleansing. The move also makes part of the E1 settlement scheme aiming to dismember Palestinian communities across and around Occupied Jerusalem. Under international law, Palestinian Bedouins living in Jerusalem’s outer edges are occupied communities and have thus the right to live in their motherland. 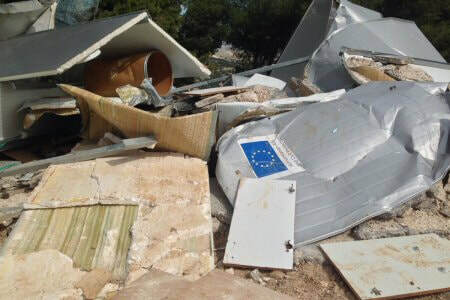 On its part, the “Jerusalem Bely Forum” said after the meeting with Netanyahu that they “congratulate him for his willingness to resolve the problems presented to him, regarding the illegal construction carried out by European Funding,” referring to EU projects that tries to help in creating basic infrastructure and to improve the lives of the communities.